Celebrate Christmas with award-winning Classical Kid's producer Susan Hammond (Beethoven Lives Upstairs, Mozart’s Magic Fantasy, etc.) 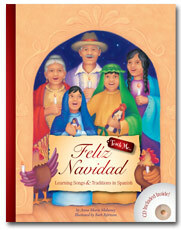 in this holiday collection the whole family will enjoy. A Christmas celebration of music and poetry for all ages to enjoy! The accompanying Song Book has everything you will need to perform a Christmas concert or Dramatic Pageant in one complete package. Accompaniment CD includes 29 instrumental and choral tracks featuring the richly true sounds of real instruments for practice or performance. Runing time: approx. 40 min. This sampler has two stories by O. Henry -- Journey to the heart of the holiday with two classic stories by O. Henry. “The Gift of the Magi" and "Christmas by Injunction." 12 Stories Celebrating the True Meaning of Christmas from Adventures in Odyssey. Forget those serene manger images you see on Christmas cards. 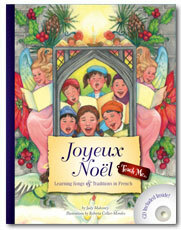 A Christmas Odyssey revisits the Christmas story . . .